As machine vision matures, companies are testing innovative ideas to improve customer service and satisfaction. AAEON, a subsidiary of AsusTek that specializes in industrial computing systems, recently took on this challenge for a customer that wanted a single solution for its clothing recognition and recommendation system. AAEON’s client had developed a machine vision application that could scan the customer’s body, record measurements, and recommend outfits. What it needed, in terms of hardware, was a platform that could record video from multiple industrial-grade, high-resolution cameras simultaneously. A total of nine cameras were used to shoot full-body imagery, with each individual camera recording at 30 FPS. 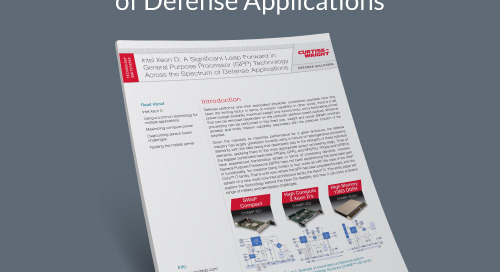 This meant the client needed an embedded solution that supported more LAN ports than is typical in the current market, with enough onboard processing power to handle the associated computing workload). While clothing recommendations were handled via back-end processing in the cloud, the local system needed to be able to handle the video streaming and analysis in real time. 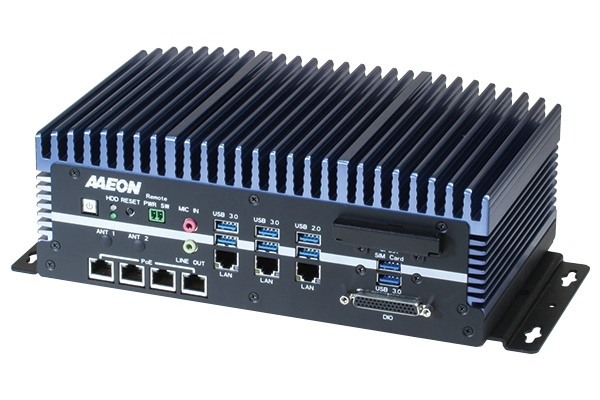 To meet this need, AAEON created the BOXER-6639M, a compact mini-PC that leverages Intel® Core™ processors with a socketed CPU (Figure 1). In tests, the BOXER-6639M proved capable of collating, scanning, and classifying information from all nine cameras at more than 100 FPS at a marginal error rate of less than 0.5 percent. The fanless system incorporates a casket-lid design to allow the owner/operator easy access to the internal components of the system. This allows the end-user to perform any basic maintenance tasks or to swap out the base CPU and meet the client’s demand for reliability, easy maintenance, and long-term upgradability. The system is available in two variants, one that offers three LAN ports and four Power-over-Ethernet ports, and one that offers seven LAN ports and no PoE-compatible ports. The two designs are otherwise identical, with the same range of supported CPUs, high-resolution display ports, and USB connectivity. Machine vision is a critical field in a number of industrial, embedded, and IoT applications ranging from security, to customer service, to self-driving cars. The applications for the technology are only going to grow, which is part of what makes Intel’s high-end embedded products a strong fit for this space. "Fundamentally, what machine vision does is to essentialize the physical structure of objects that we perceive, minus the human error factor, and in a tenth of the time it would have taken to process this data manually," said Ken Pan, senior product manager for AAEON's System Platform Division. 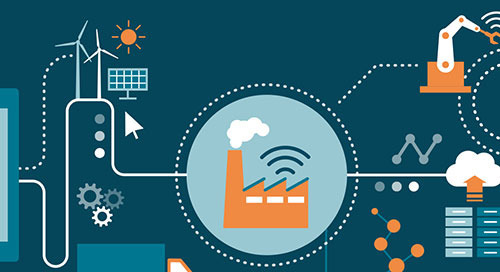 "In a broader context, the Machine Vision series provides longevity support and a customizable mechanical design to meet the ever-changing needs of both the client and the landscape of Industry 4.0, and can be adapted for a wide range of industrial manufacturing processes, lowering lead time and enhancing efficiency and accuracy."